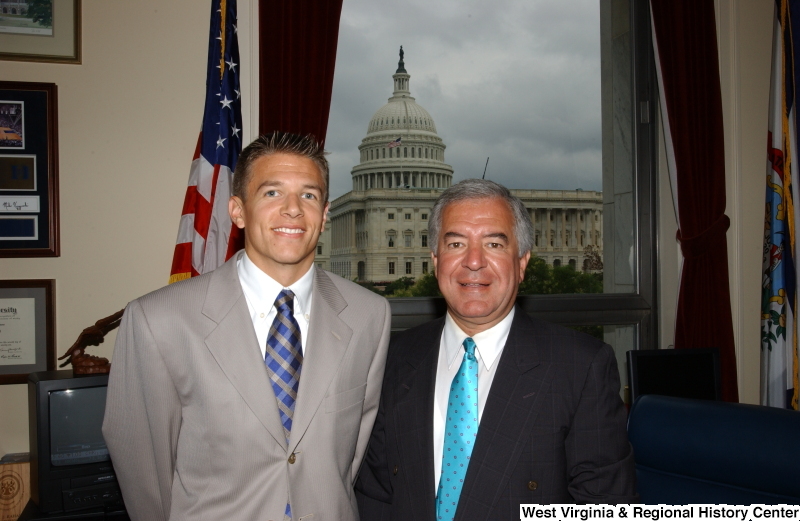 Congressman Rahall stands with a man wearing a grey suit in his Washington office. 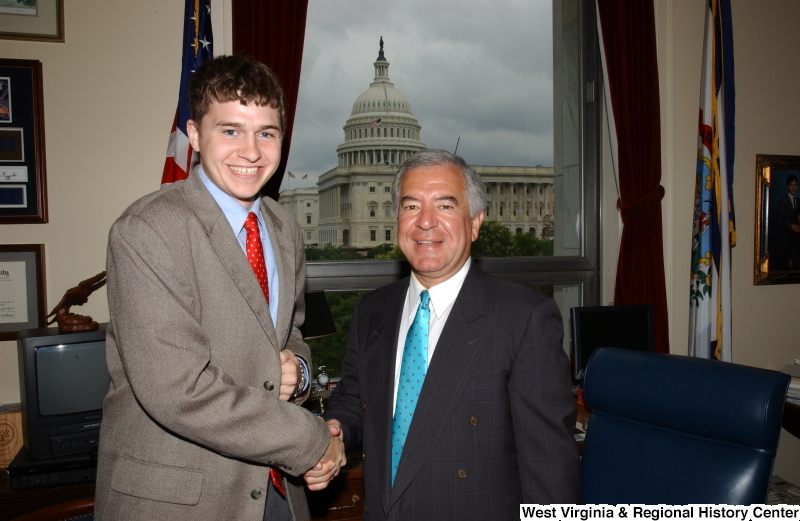 Congressman Rahall stands with a man wearing a taupe suit and red tie in his Washington office. 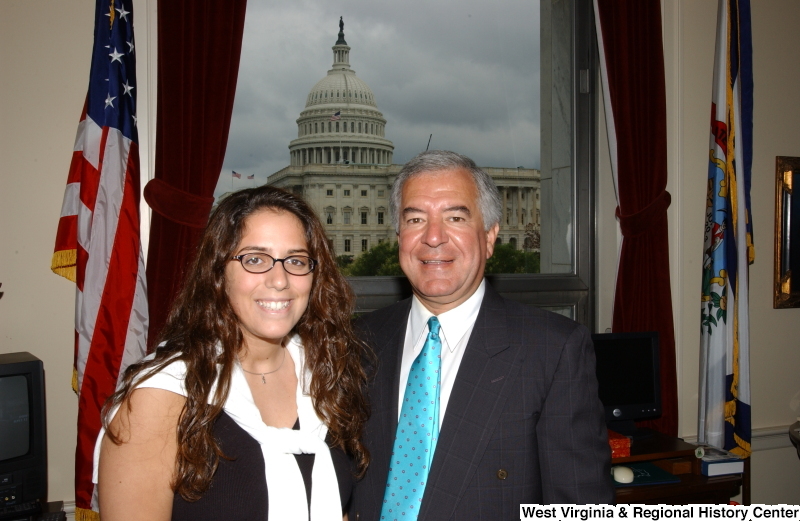 Congressman Rahall stands with a woman wearing glasses in his Washington office. 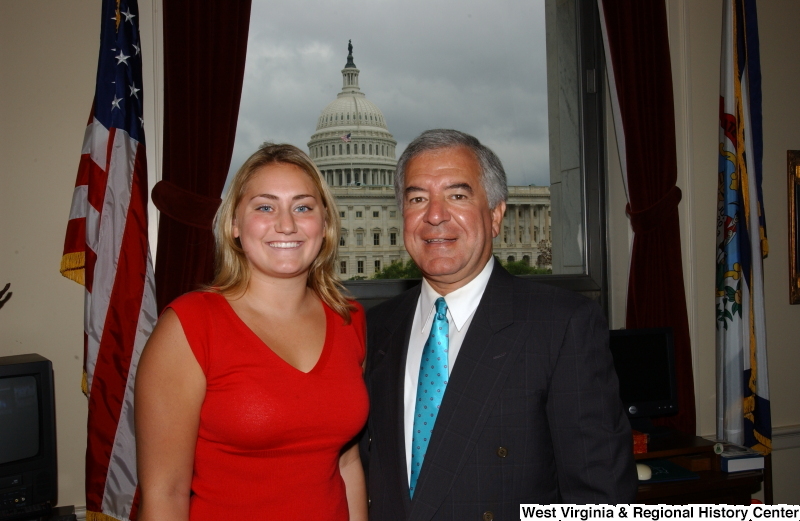 Congressman Rahall stands with a woman wearing a red shirt in his Washington office. 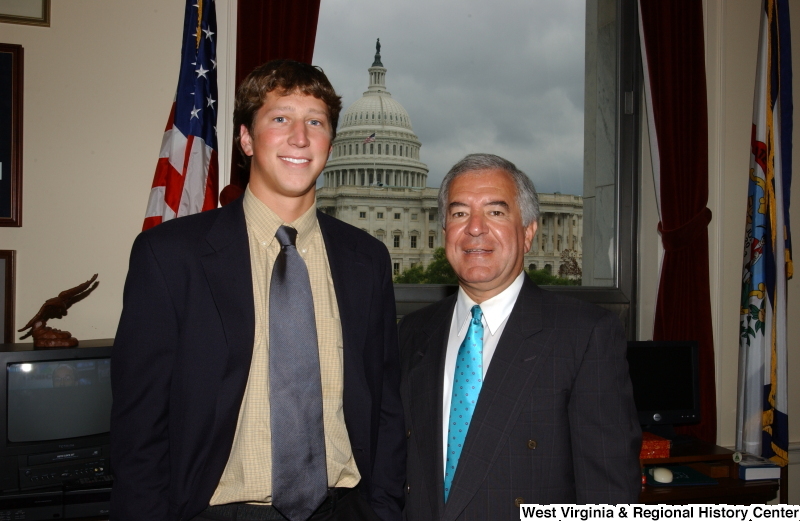 Congressman Rahall stands in his Washington office with a man in a navy blazer and grey tie. 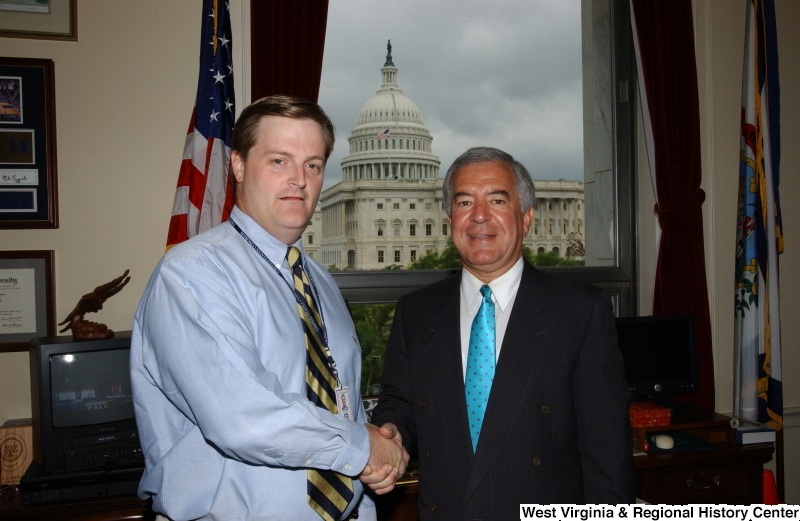 Congressman Rahall stands in his Washington office with a man wearing a blue shirt and striped tie.